Dr. Herring's research focuses on a number of economic and public policy issues related to health insurance markets, including employment-based insurance, individual insurance, Medicaid, and Medicare. He has published articles in the Journal of Health Economics and New England Journal of Medicine, and is co-author of the book Pooling Health Insurance Risks. His research has been funded by the Robert Wood Johnson Foundation, OECD, HHS ASPE, and AHRQ. Dr. 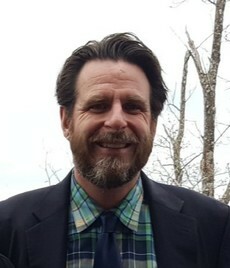 Herring received his PhD from the Wharton School at the University of Pennsylvania and completed a two-year RWJF Scholars in Health Policy fellowship at Yale University. He also served for a year with the White House’s Council of Economic Advisers and recently served as the Chair of the Board of Directors for the Maryland Health Insurance Plan. Dr. Herring teaches the four-credit course Introduction to the US Healthcare System for masters students in the first term onsite and the fourth term online. He also co-teaches the course sequence Advanced Health Economics I-IV for second-year PhD students. Trish E, Herring B. Does Limiting Allowable Rating Variation in the Small Group Health Insurance Market Affect Employer Self-Insurance? Journal of Risk and Insurance 85.3, 2018:607-633. Herring B, Gaskin D, Zare H, Anderson G. Comparing the Value of Nonprofit Hospitals’ Tax Exemption to Their Community Benefits. Inquiry: The Journal of Health Care Organization, Provision, and Financing 55, 2018:1-11. Trish E, Herring B, How Do Health Insurer Market Concentration and Bargaining Power with Hospitals Affect Health Insurance Premiums? Journal of Health Economics 42, 2015, 104-114. Herring B. Suboptimal Provision of Preventive Healthcare Due to Expected Enrollee Turnover Among Private Insurers. Health Economics 19.4, 2010: 438-448. Herring B. The Effect of the Availability of Charity Care to the Uninsured on the Demand for Private Health Insurance. Journal of Health Economics 24.2, 2005: 225-252.